A classical amber necklace. 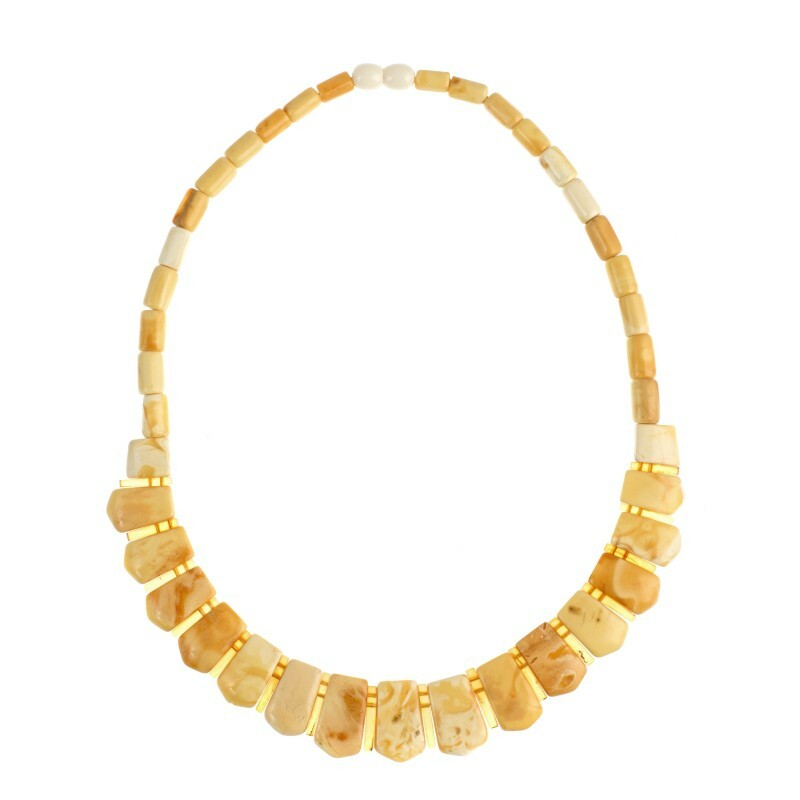 A matted amber of yellowish hues harmoniously goes with beautifully combined transparent amber pieces. It is a luxurious and tasteful necklace. It nicely drips on the neck and has a convenient clasp. A yellow aged amber necklace with a transparent lemon amber inclusions.